The post-sale experience is a giant opportunity for many manufacturers. Let's say you buy a refrigerator. Buying an appliance like that is a big investment that should last a long time, but there are many reasons you might need support. Registering the refrigerator for warranty support. The water filter needs to be changed every six months. A few years down the road, you might need a new part or a repair. Customers will remain loyal and provide positive word-of-mouth. The brand will earn recurring revenue from parts. The brand can earn additional revenue from extended warranties and service plans. I recently partnered with Ashok Kartham, CEO of Mize, to facilitate a webinar on how to transform a customer service culture into one that consistently delivers these results. Mize serves a wide range of industries including appliances, automotive, and heavy equipment. Kartham kicked things off by sharing some of the benefits manufacturers can achieve by offering a seamless customer experience. He cited several examples where companies leveraged Mize's suite of products to stay better connected to customers and drive greater loyalty and revenue. Create a customer service vision. Engage employees with the vision. Align the business around the vision. We wrapped-up the webinar with an extensive Q&A, tackling questions on a wide-range of topics such as gaining executive buy-in and leveraging technology to enhance a service culture. Mize generously offered an Amazon Kindle copy of my book, The Service Culture Handbook, to all webinar participants. The book provides step-by-step guidance for implementing a customer-focused culture. On Tuesday, I hosted a webinar called Five More Obstacles to Outstanding Customer Service. The title was a riff on a session I facilitated at ICMI’s recent Contact Center Exposition & Conference called Tackling Five Hidden Causes of Poor Customer Service (see a conference re-cap here). The webinar revealed five additional obstacles that I’ve uncovered through my research. Below are links to additional information on each obstacle. You can also watch the webinar here. We often think that employees don’t get enough feedback on their performance. A few studies suggest that employees might be getting too much! Even worse, all that feedback is hurting their performance. The short version of the story is excessive feedback gives people too much to think about. “Don’t take it personally,” might be the worst advice you can give to a customer service employee. The advice is well-meaning. We don’t want employees to get into an argument with a customer or do their best to just get away. Unfortunately, taking it personally is an instinctive reaction called the Fight or Flight response. We’re hard wired to do exactly what we shouldn’t do when we’re faced with an angry or upset customer. Most of us have a caffeine habit. One or two cups of coffee in the morning (or energy drink, soda, etc.) followed by a pick-me-up in the afternoon. You probably already know that caffeine can be addictive. Studies show that the problem might be worse than you think. That daily caffeine habit might be the root cause of a lot of poor customer service! Employee empowerment is often viewed as a panacea for a lot of problems. The truth is not many employees are being empowered. A recent study from ICMI found that 86 percent of contact centers don’t fully empower their employees. Real empowerment is scary. It turns out there’s a whole host of things customer service leaders worry about when it comes to employee empowerment. We ran a poll in our webinar and discovered the number one concern: consistency. Employees may eventually stop trying when they aren’t fully empowered. This is a condition psychologists called learned helplessness. It happens when a person believes that any effort to change things is futile. The result is they stop trying. Engaging employees in problem solving can help. Customer service employees love to help their customers, but they often perceive obstacles in their way. Help your employees take ownership of tough situations and you’ll see motivation soar. These are just a few of the many obstacles customer service employees face on a daily basis. You can read about ten more ways that customer service is hard in my book, Service Failure. Customer service leaders have one real job. They should make it easy for their employees to serve customers. That can be a tall order. Customer service employees have to navigate a jungle of obstacles. Angry customers, defective products, and corporate silos are just a few reasons why customer service is hard. A good customer service leader takes a figurative machete to those obstacles and clears a path through the brush for their team. If you’re a customer service leader, here are ten things you can do. 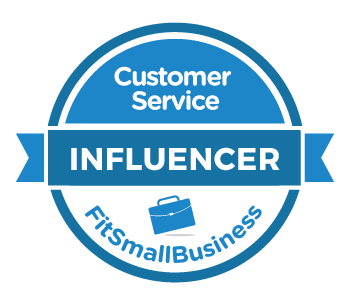 Everyone says customer service is important to the business, but it’s not really important until its measured. You can engage your team by setting SMART goals around key metrics. Good goals should make it easy for employees to understand what's important, and what's not. Here’s a dirty secret: 95 percent of companies collect customer satisfaction data, but only 10 percent actually use that data to improve service. This is a potential gold mine of data to help you fix problems that irk your customers and frustrate your employees. There’s a good chance that your employees know the biggest obstacles to serving customers. They probably have some pretty good ideas for solving these problems, too. Unfortunately, many employees don't share this information. The simple solution? Ask them. They’ll be happy to share. Customer service gets a lot easier when you love your job. Pay special attention to hiring for culture fit. Figure out what's in your organization's unique secret sauce and then design your hiring process to find people who will love being there. Your goal is to find people who will love to do what you are asking them to do. There’s a lot of crappy training going on. Some managers don’t have the time. Other managers just don’t know how. Avoid letting employees get lost on the learning curve and you’ll make their jobs much easier and more enjoyable. Many customer service jobs require constant multitasking. Unfortunately, this causes a problem called Directed Attention Fatigue or DAF. The symptoms are identical to ADD, which isn’t great for customer service. The only solution is rest, which is why many companies are creating quiet rooms to help their employees recover. It’s hard to serve with a smile when your product stinks. A recent analysis on the CX Journey blog showed the number one difference between engaged and disengaged baseball fans was success on the field (i.e. product). Work with other departments to put out a better product and service gets a lot easier. In his book, Strategic Customer Service, John Goodman estimates that as much as 60 percent of service failures are attributed to broken systems. It could be an unmonitored email box or chronically missed delivery appointments. A failure to fix these problems is like tying your hands behind your back and then trying to win an arm wrestling contest. There’s a huge lack of empowerment in customer service. A recent report by ICMI revealed that 86 percent of contact centers don’t empower their employees to provide outstanding service. One reason managers don’t empower employees is it’s easy in theory, but difficult in practice. The good news is you can use this handy guide to help you. You call a customer service number. The first step is navigating their frustrating Interactive Voice Response system that’s designed to deter you from speaking with a live agent. You finally get past that gatekeeper only to be put on hold. You’re frustrated by the time you finally get to talk to a real person. Empowerment means having the resources and authority to take care of the problem right then and there. This can be the difference between first contact resolution and a problem that takes 16 contacts to resolve. This includes essential data like contact history and customer account information. It's why the airline customer service agent might tell you your lost suitcase had arrived at the airport even when it really hadn't. These agents are flying blind. This means nearly half of contact centers aren’t actively trying to find and fix the problems that frustrate us as customers. Even those contact centers that do have a formal customer satisfaction program don’t always do it well. Customer service was pretty bad in 2014. The third quarter American Customer Satisfaction Index dipped to 75.6 percent, it’s lowest level since early 2011. A Comcast rep repeatedly harangued a customer who tried to cancel his service. Executives later blamed the employee when it was really their own policies that caused the problem. The Union Street Guest House made headlines when they tried to charge wedding party guests a $500 fee for posting negative online reviews. United Airlines botched an apology letter where they addressed a customer as “Dear Mr. Human.” Sadly, they've done this before. A Korean Airlines executive berated members of a flight crew, allegedly assaulted the crew chief, and ordered a plane to return to the gate so the crew chief could be removed. It's been dubbed the "Nut Rage Incident" since the whole kerfuffle was over a bag of nuts. 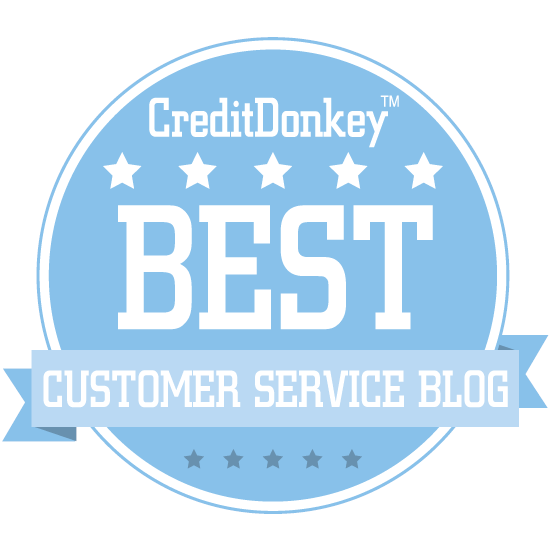 These unbelievable service failures make it pretty easy to forget how challenging things can be for customer service employees. Customers expect increasingly fast responses to email and other communication. Many employees receive insufficient training and get lost on the learning curve. To make matters worse, many customer service jobs are giving employees ADD. So, will things get any better in 2015? Only time will tell. However, there are a few trends that companies should know about. The leading cause of service failures. A force three times more powerful than customer delight. One thing that is most likely to trigger an angry Tweet. Why customer service surveys may soon be obsolete. The real way to motivate customer service employees.